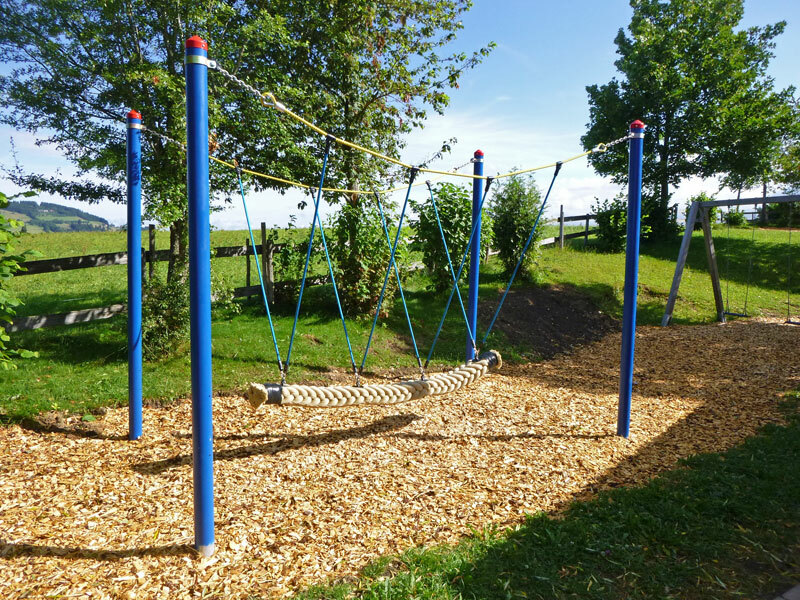 Out of concerns for safety, the existing playground equipment at the Catholic kindergarten in Buchenburg had to be renewed. 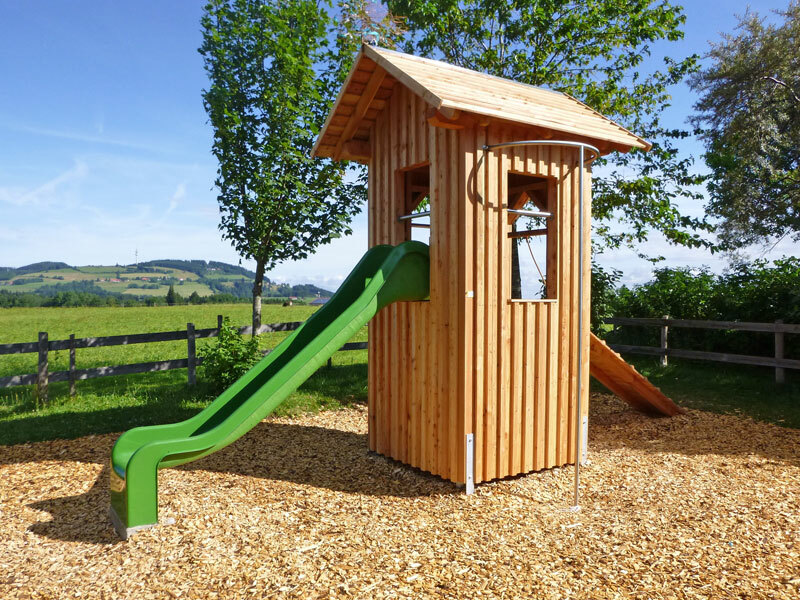 In place of the old equipment a multifunction play tower with a Tampenschaukel (rope swing) was erected. The thick rope swing is secured to four colourful steel beams, offering room for several kids at the same time. 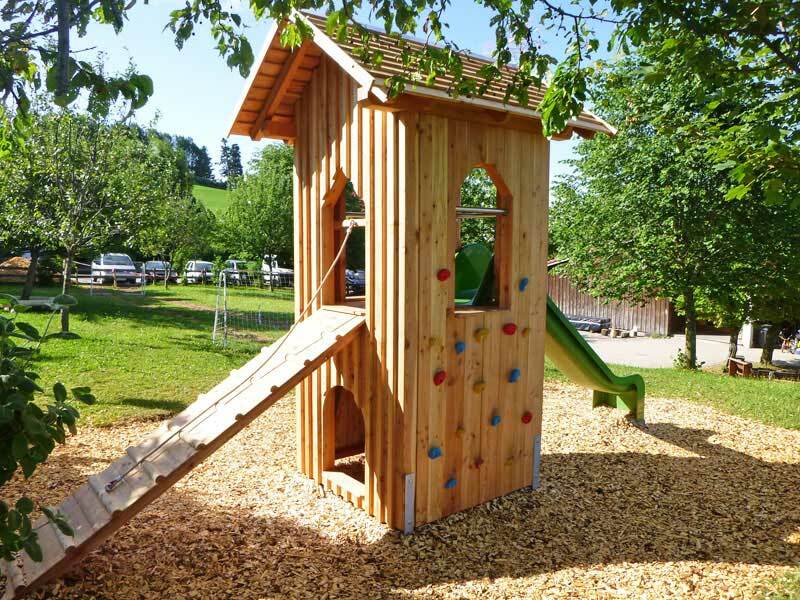 The play tower was constructed from untreated larch timber. In its lower play area it offers hiding and plays possibilities. Access to the upper floors is provided by climbing wall and a mountain climber’s ramp, while quick getaways can be achieved by using the fireman’s pole or the slide.